I know this review has been long overdue, but with the SLI troubles, it took awhile to get the SLI setting somewhat right. Plus none of this is DS fault, I just have to play my games in window mode full screen. And I wanted to wait til I got my new 27 inch monitor. 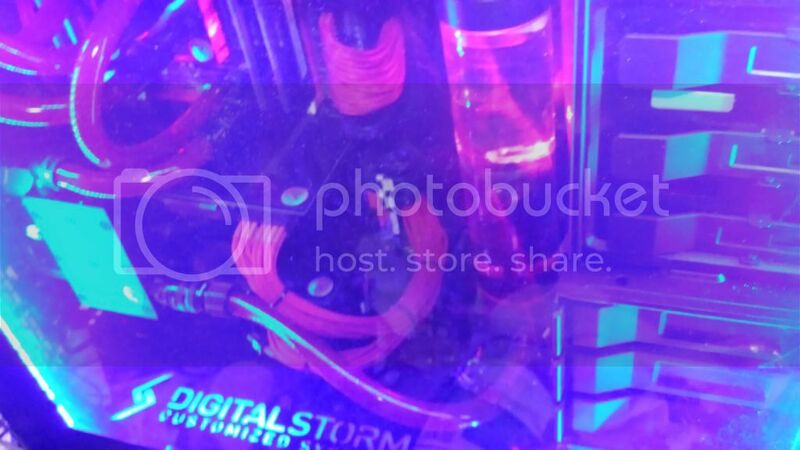 Now that I have my system altogether now, I can tell you all what I think about my Digitalstorm Gaming Pc. Lets start with the Corsair Obsidian Series 900D Black Aluminum ATX Super Tower Computer Case. As I had said in another post, this case is huge in all three ways, height, lenght, width. Oh, and this bad boy is heavy too. But this allows you plenty of room for anything you could want to install in it. 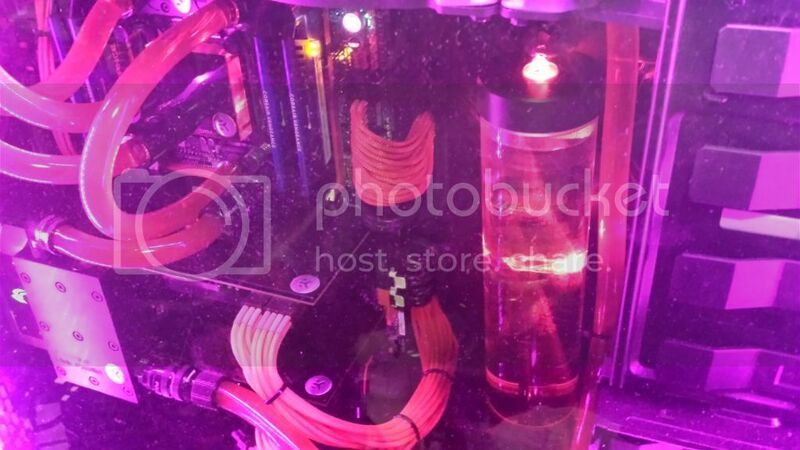 Now I have a full water cooling loop inside with some really big hoses, which is very good thing IMHO. They let the coolant run faster thru the system to keep everything cooler. Below is a screenshot of the temps of my dual SLI GTX 780's temps while running Skyrim at 2560 by 1440 and max settings. As you can see they never went above 42C, which to me is awesome. Now I do have 2 big Rads inside this case, both are 420MM long, and each has it's own push/pull setup. That is 12 fans there alone. Believe it or not, the PC is still pretty quiet. What is really good, is the case is all metal, so it will last a longtime. And lets not forget the fan filters as there are 5 of them. And they work very well, as my PC is in my basement on an older rug than the rest of the house. It is also cooler down there too, and yes I have whole house AC. Now the lights inside the case are really cool, as they change a number of different colors, and have different action settings. They really do show off the inside of the tower. 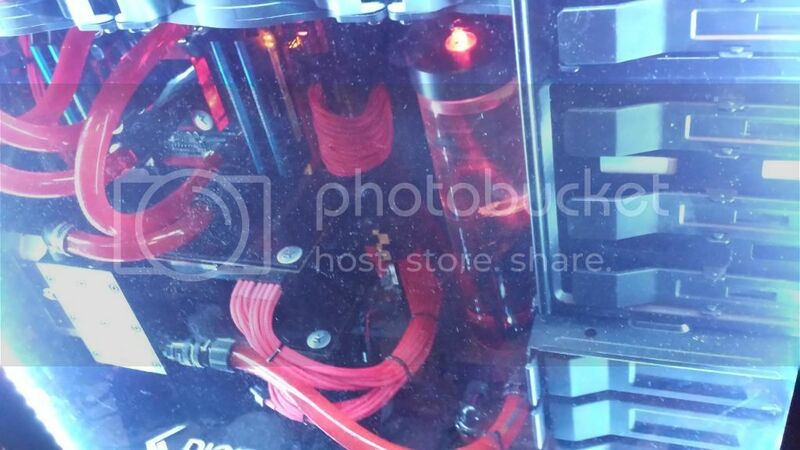 There is not that much you cannot see, save the PSU, and bottom Rad, they have their own compartment. Also, you have to love the back lite metal plate they put between the two sections of this tower stating Digital Storm custumized systems. I have two fav colors. 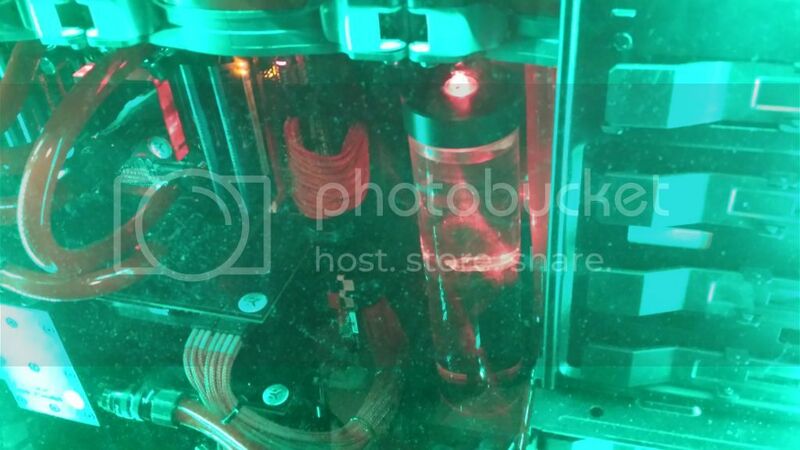 The one is the Blood red color which goes with the red tubing, and the other is like a very lite blue which really lights up the inside of the super tower for better viewing . Now, there are some games that play nice with SLI. They just happen to be the newer games made. What can I say about the graphics, they are awesome with this new monitor. Everything is clean, crisp, and colorful. The hunter is a good game to see the GTX780s in action. They render the forest very well, even with everything maxed out. 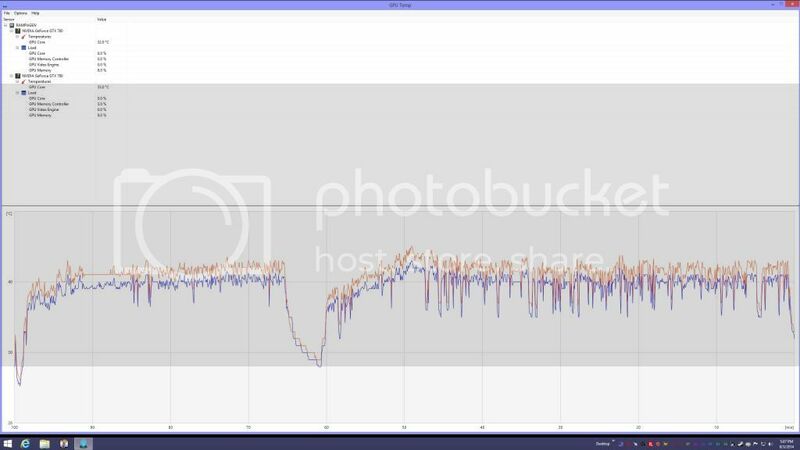 Now for the ethernet that came on my MB, I have noticed a big incrase in speeds both up/down. And you know that makes me happy as I now get three times the speed. And I have to say something about the wiring job they did. It is so nice and well put together, I doubt they could have done it any better. Congrats on a beautiful setup and kickass rig. Hopefully will be adding a similar one myself in the couple of months! Have you gotten an actual weight, by chance? What would you guess it to be? I'm thinking around 70-80 lbs fully loaded, but not sure what to expect. Probably a 2-person lift job? I would say 70 pounds. Awesome system, glad to hear you love it! Awesome PC Killer! 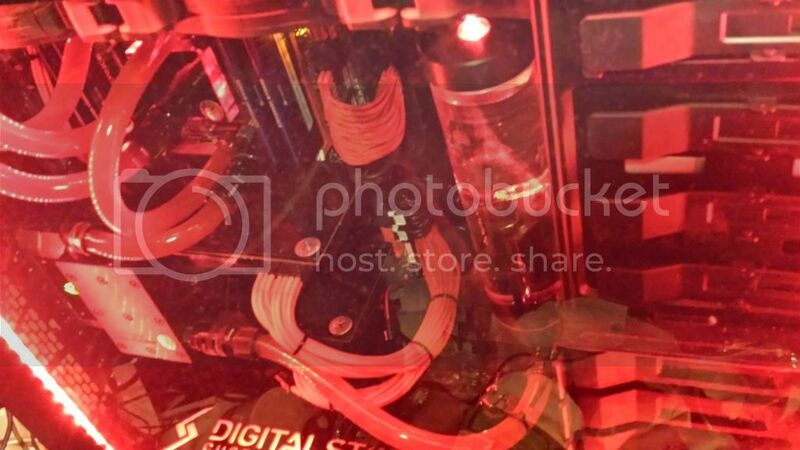 !, I have had my rig for 1 year and 10 months and it has been working perfectly, I am glad that I chose the best decision of my life. Your rig is awesome and it has nice features. 1 x 500 GB Samsung 840 EVO. 1 x 500 GB WD Velociraptor. LG 27EA63 LED Monitor 27"
Thanks Jog. I love this rig. it has been over a year now since I have had this beast, and it is still running great. Added third 780. Forgot about this review when I made the other post. When you are able to unglue yourself from your tri-sli setup, how about some pics ? Bet it looks nice with 3 cards. Enjoy. Great job, mate. You can make your own game trainers with such talent. Two years old now, and still running great. Just blow it out every so often, that is all. PcKiller, you ol' truck drivin' man... how you doing? Glad to hear the machine is still keeping on. Playin Train Simulator 2016, and using the Rail Driver controller. This page was generated in 7.421875E-02 seconds.